With over 20 years of safety experience, we’ll ensure you always get the best guidance. Our OSHA-certified safety trainers can train you at our home office or we can come to you. We offer PPE and safety equipment so your team can exceed standards and work safely, effectively, and comfortably. We bring decades of proven industry expertise in driving our safety approach. Temporary guardrails from Onsite Safety exceed OSHA standards, are much stronger than wood, and give your job site a professional look and feel. Onsite Safety offers incident investigation services so you can mitigate risk and protect your employees. Safety bollards from Onsite Safety are a great way to protect your parking area, water heaters, and other equipment from damage. Call us to install our safety stops today on your jobsite! 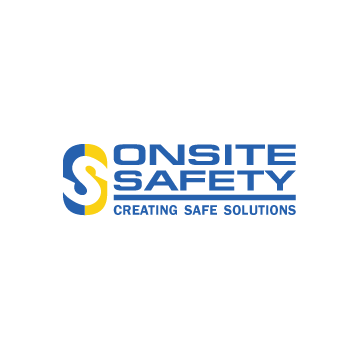 Onsite Safety has a full line of products to meet all your safety needs. We sell products from the leading manufacturers that are cutting edge in their respective markets. Keep your employees safe with roof anchor points from Onsite Safety. We install them on any job site! Onsite Safety offers live, interactive safety classes taught by safety professionals. Whether it is in our classroom or online, rest assured that you will be outfitted with the latest safety knowledge to keep you and your employees safe. We want to help you reach your safety goals! 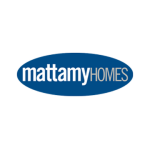 "Onsite Safety is used by Mattamy for all our safety needs, they provide great service and product turnaround time is very efficient." "From safety rails & fire extinguishers to safety training, Onsite Safety has been a one-stop shop for all our building needs. After working with them for years, I would recommend no other company." Will your services meet OSHA requirements? Onsite Safety services don’t simply meet OSHA requirements – they exceed them. 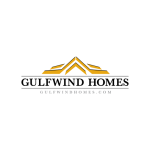 When you choose us for any safety-related job you may have, rest assured that your company will exceed all OSHA standards. What kind of safety services do you provide? Onsite Safety is in a unique position to not only serve jobsites in-person with our 100+ Team Member fleet, but we also offer safety products, safety training, audits, consulting, and more. Most safety companies only offer online services or online classes. Onsite Safety is one of the few companies that does work in-person, on-site, and on time. We also have offices located in 4 states across the Southeastern USA. Simply put – no other safety company has as much reach as us. Can anyone benefit from your safety services? Although some of our products, such as our patented Rapid Rail guardrail system, are engineered for residential jobsites, any company, organization, or person can benefit from the services we offer. We offer safety audits and consultation for businesses of all shapes and sizes, and we routinely offer safety training to everyone ranging from C-suite execs to new mothers who want to benefit their family. If you have a need for safety, we can fulfill it! Onsite Safety has over 8 branch locations throughout the USA. However, our home headquarters is located in the Orlando, Florida metro area. We offer training and safety equipment sales through our home office but we have safety experts that are available to travel anywhere in the country. Additionally, we have warehouses in multiple states that allow us to install our temporary guardrails and other safety equipment in the metro areas of each of our branches. We bring decades of proven industry expertise in driving our integrated safety solutions. Would you like to speak to one of our safety experts over the phone? Just submit your details and we’ll be in touch shortly. You can also email us if you would prefer.